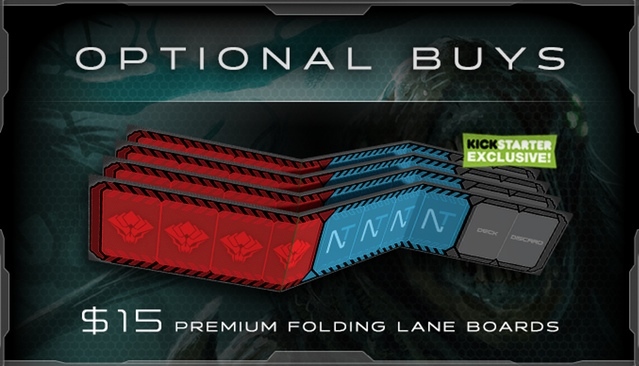 While the lanes that come with the regular box game are nice, you can now add premium, fold-up boards to your pledge. What better way to lay out your troops in preparation for the onslaught of horrendous monsters? The campaign is set to run for another 17 days. Be sure to get in on the action.